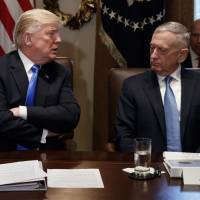 WASHINGTON/BRUSSELS - U.S. Defense Secretary Jim Mattis will only play a supporting role to President Donald Trump at this week’s NATO summit — an event that by definition is focused on heads of state from the trans-Atlantic alliance. 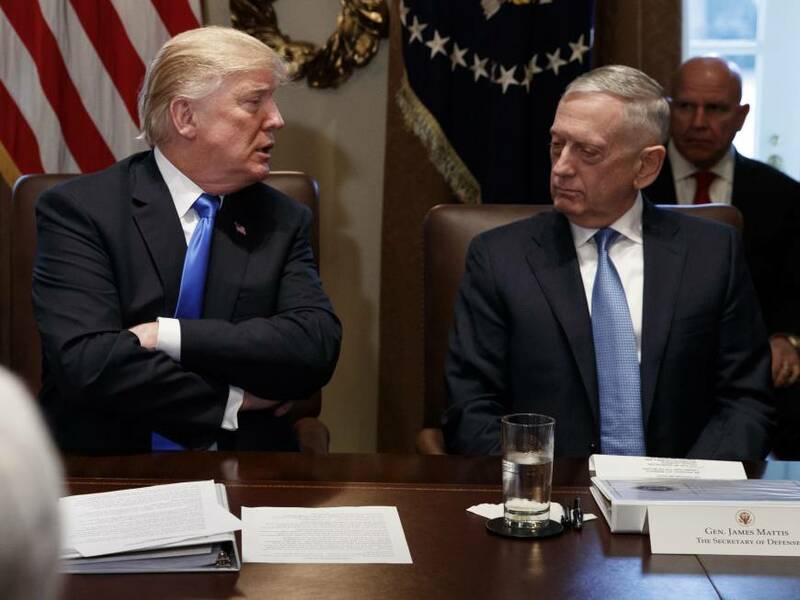 But Mattis’ small part belies his high standing among NATO allies, which has only risen as they become increasingly bewildered by Trump’s policies on trade and Iran, and anxious about his outreach to Russian President Vladimir Putin, European diplomats, officials and experts say. In recent months, it has become clear that Mattis has a limited ability to influence Trump, who is increasingly confident in his own foreign policy instincts as he settles into his presidency. But Mattis, by staying above the political fray and avoiding contradicting Trump, has been quietly helping bolster the NATO military alliance over the past 18 months in ways that are too granular to grab much attention in Washington. “In the Trump administration, he is seen as the most articulate adult in the room,” said one senior European official, who has attended meetings in Europe with Mattis. The July 11-12 summit is set to enshrine reforms that include creating two new military commands aimed at deterring Russia, one of which the U.S. military has agreed to host. Mattis, a retired Marine Corps general and former NATO commander, also helped clinch agreement on a plan known as 30-30-30-30. It would require NATO to have 30 land battalions, 30 air fighter squadrons and 30 ships ready to deploy within 30 days of being put on alert. “There is a real questioning in Europe about the commitment by the president of the United States to the post-war European order” including NATO, said Ivo Daalder, a U.S. Ambassador to NATO under President Barack Obama. In another example, Mattis has helped oversee a 91 percent increase in Pentagon funding requests for the U.S. military’s European Deterrence Initiative, which was created to help reassure nervous European allies after Russia’s annexation of the Crimean peninsula. European allies are increasing their spending on defense, partly because of Trump’s public scolding. Mattis has reinforced that message publicly and privately, to the relief of many European security officials, who long thought their nations’ spending was insufficient. “The summit should therefore be a moment (for Trump) to take a victory lap,” wrote Derek Chollet, a former Pentagon official under Obama’s administration, who is now at the German Marshall Fund. Regardless of what happens in Brussels, NATO states will still be anxious about the Trump-Putin summit in Helsinki, Finland, on July 16. NATO allies are wondering if Trump might make security concessions to Moscow to improve ties. “There are great concerns in the alliance about what agreements Trump and Putin could reach,” Peter Beyer, transatlantic coordinator for Chancellor Angela Merkel’s ruling coalition, told a German newspaper chain. Mattis, who has made clear his concerns about Moscow, has sought to keep political tensions between the United States and Europe from bleeding into U.S. defense relationships. At the last NATO defense ministers meeting in June in Brussels, Mattis, speaking at a closed-door NATO dinner, steered clear of the steel tariffs that Trump had just imposed on NATO allies on national security grounds, one NATO official said. Instead, Mattis’ remarks stuck strictly to military issues like the NATO training mission in Iraq, the official said. Dismayed European allies have also been struggling to salvage the Iran nuclear deal and preserve their Iranian trade after Trump pulled the United States from the landmark accord and ordered sanctions reimposed on Tehran. Mattis had once backed staying with the deal, although he softened his public stance on the issue in the weeks before Trump withdrew. European officials say there is frustration that even though they have good relations with Mattis this has not meant they have been able to effectively communicate their concerns to Trump. “We tried to develop a relationship with our direct counterparts in Washington to try to reach the president and that didn’t work,” one official said. European officials and diplomats said Mattis has a personal charm that works well, even with Europeans skeptical of the United States. But for Europeans, there is growing concern that Trump might pay less and less attention to his defense secretary. In an administration that has seen a high degree of turnover, former NATO official Alexander Vershbow said some of his European contacts ask him from time to time about the possibility that Mattis might leave the job. “That’s the nightmare scenario for the Europeans, that Mattis could depart,” said Vershbow, who was deputy secretary general of NATO until late 2016.